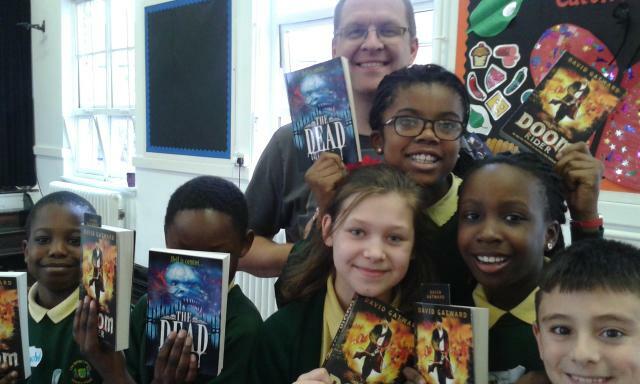 On 29th January 2015, six children from Year 5 went to Thomas Arnold Primary School for a More Able Writers’ Day with an author called David Gatward. We got the chance to work and play with children from other schools. David taught us lots of fantastic writing techniques so we can all become authors in the future! The children and teachers really enjoyed themselves as you can see from this photo! Hailey, Enoch, Ronnie, Alvi, Uche, & Leipa – Well done!